Click for more info on transferring magnetic tapes to a digital format. 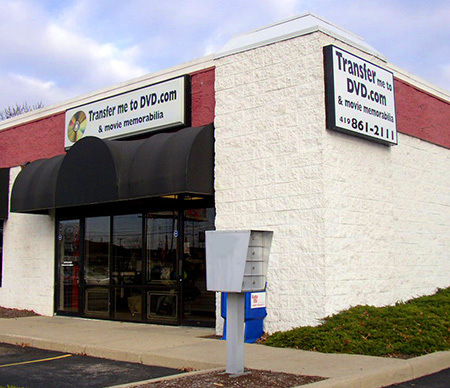 Transfer Me To DVD is a bricks and mortar shop at 5318 Heatherdowns Blvd Toledo Ohio. We do all work in-house and never ship your originals off for processing elsewhere. Driving directions-> Map to our Toledo Business. Our 30+ years of experience, digitizing movies, video tapes, film and photos started in the era of compact discs, 1978 at the Video Connection corporate office in Toledo. 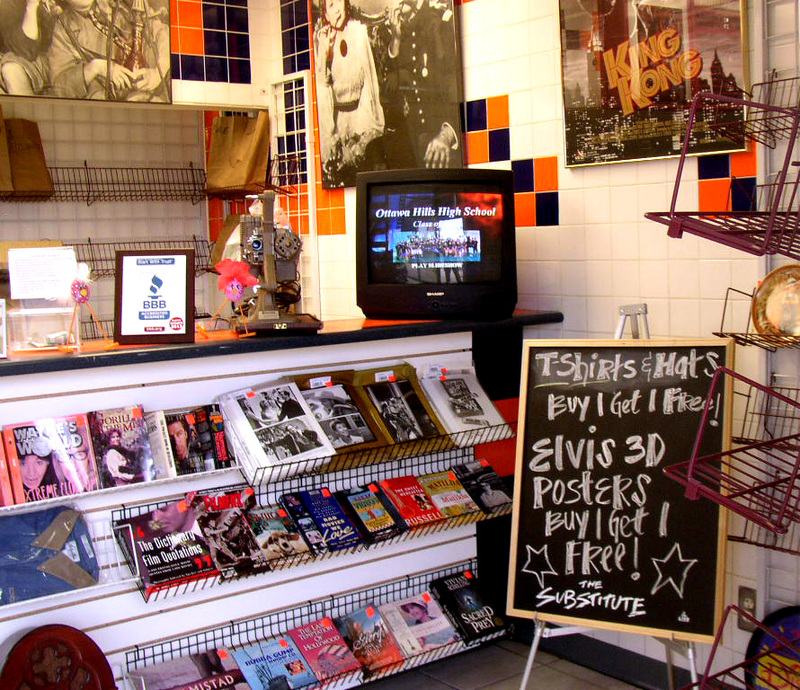 The Video Connection was acquired by Movie Gallery in 1995 and our "Digital Transfer" orders continued to grow. In 2008 we opened shop on Heatherdowns Blvd. with our new business name- Transfer Me To DVD. 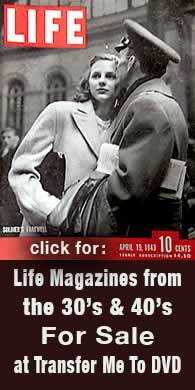 We know how precious original family photos, movies and memories can be. That's why we don't offer services we can't perform ourselves, in-house. We work hard to earn your trust and confidence, to leave your family heirlooms in our care. Your originals are scanned (digitized) and resulting digital files enhanced to create your project on CDs, DVDs, Blu-ray Disc™ or computer Hard Drive. 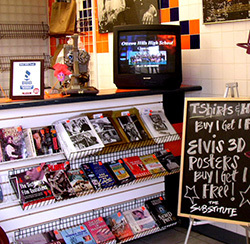 Bring your originals to our shop and discuss all the options for your multi-media project. 5318 Heatherdowns Blvd, just west of Reynolds Road. We can combine old family audio recordings with photo slideshows or help you create movie projects complete with titles and chapter stops, your audio tracks or special music. If you have old movie reels and can't tell what's on them, we can make temporary discs for you to see and hear all you have before editing and sharing your finished project. We can also provide "data discs" for those wanting their original heirlooms copied to a digital format but aren't interested in a finished slideshow or movie on DVD. 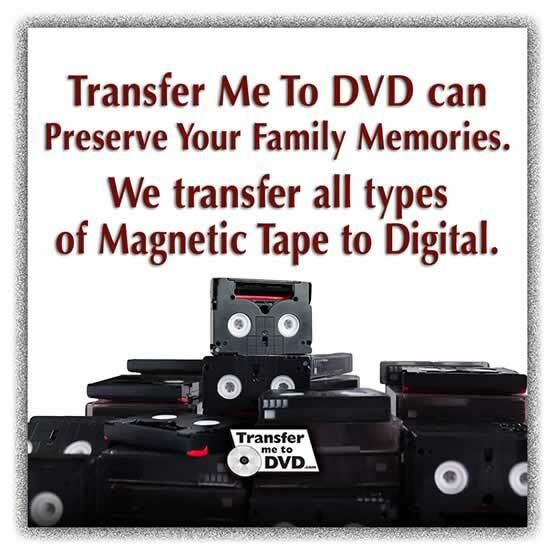 Film to DVD, Slides to DVD, Video Tape to DVD, Photos to DVD, all converted to a digital format at Transfer-Me-To-DVD at 5318 Heatherdowns in Toledo OH. Any digital material can be transferred to an external Hard Drive, Data DVD or Flash Drive at our $10/hr rate. If you have questions about file formats or your specific project, our contact information is listed here- Contact Us. Or bring your originals to our shop and we'll offer suggestions and help you with the technical part of telling your family stories. Sort and organize your slides for FREE on our light table. Not sure of your 8mm, Super 8mm, or 16mm silent or sound film content? Take advantage of our Temporary Film DVD, each reel is in its own chapter so you can decide the film order and titles you want for the final DVD. You also get free music on the final DVD.